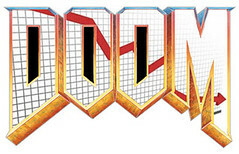 Follow 'The Daily DOOM' on Twitter: @AoSHQDOOM. Americans seem to have difficulty imagining a time when there was no pervasive government-run welfare state. Yet there was such a time -- and it was not so long ago in the great sweep of history. There was a time when the arm of the federal government did not reach far at all, and citizens had to rely on themselves, their friends, their families, and their communities for help and support. And you know what? It worked, mostly. If there was some massive outbreak of starvation, the elderly and lame being cast out to die in the streets, or orphan children roaming the countryside in packs, it didn't seem to make any of the papers. Yes, there was misery and hardship in the old days; but there is misery and hardship now too, and probably in greater measure. Misery and hardship is the lot of humanity on this earth. Yet our forbears managed to not only get by, but to build the greatest nation in the history of the world...and they did it without an overbearing, interfering, smothering nanny state monitoring their every breath. There was a time before the welfare state, folks. Honest. Richard Epstein, one of my favorite economists and legal scholars, asks if the federal government can seize state revenues to pay for Medicaid. Federalism is a hollow joke at this point; the states are in such thrall to federal money that they have little will or ability to resist pressure from Uncle Sugar. Love Stinks: An Economic Manifesto. But my own hunch is that there would still be some kind of market failure, especially if getting a first date -- even if it means being a bit of a letdown in person -- is viewed as more important than reducing the chance of a second. Indeed, in some ways the problem of information asymmetry in the unfettered dating market seems more intractable than it does elsewhere. The need for some sort of quality control is one reason why people join curated dating sites like eHarmony rather than OkCupid. In some industries, you have solutions in the form of licensing and regulation, or quality "guarantees" like brand names and warranties. In the real world, however, dating is a dangerously free market. It's the notion of "romantic love" that ruined relationships. Back in the arranged-marriage days, the whole thing was a lot less stressful...and probably a lot less failure-prone. Flights by US airlines hit a 10-year low. But the economy is on the upswing! No doubt about it! All is well! You're probably getting as tired of reading it as I am of writing it: Greece is on the verge of default. Again. The agonies of Greece have somewhat obscured similar convulsions in fellow Eurozone member Portugal. Portugal is in nearly as dire a situation as Greece, and faces the same grim economic math. According to the calculation of Mr. Bencek, the economist, Portugal would need to produce a primary surplus of about 10 percent of G.D.P. in the coming years to reduce its debt ratio to a permanently serviceable level. That, he said, would require a degree of cuts in spending far beyond what Mr. Gaspar and his team have already been able to achieve. It's pure fantasy to think that a nation like Portugal will be able to achieve any growth at all in the next decade or so, much less the kind of growth they'd need to pay off their colossal national debt. Ultimately Portugal, like Greece, will have to leave the Eurozone, revert to the national currency, and devalue to recover from this debacle. It will mean an instantaneous reversion to third-world status and a decade of grinding poverty...but that's already pretty much baked in the cake no matter what. Even when Teh Krugman concedes a point, he does it in the snarkiest "my point stands anyway" manner possible. And he always tries to spin his mistake into some deeper confirmation of his original thesis. Chicago found to be the most corrupt city in the United States. New Orleans, Detroit demand recount. America is not producing a workforce trained in the skills necessary for success in the 21st century. Who's to blame? According to this article...you are. The failure of our schools to educate our children may reflect the quality of our teachers. But it surely reflects the quality of America's parents. Parents have off-loaded the responsibility for educating their children on the schools. In so doing, they have sent a message to their kids that striving for excellence is not important, that being diligent is useless. I think I'd blame the public-school system at least as much as apathetic or incompetent parents, but it's a complicated problem that's been building for decades. President Obama's budget is not a serious piece of legislation, but rather an ideological broadside and leftist battle-cry. The President knows full well that this budget has no chance at all of mustering a majority vote even among his own Democrats, but that's not the point. The point is to add more fuel to the class-warfare fire. Gas prices are already spiking, and it's still early in the year. Predictions of $5/gallon gas are looking more likely all the time. If you are new to economics but would like to know a bit more without getting buried under technical terms, statistics, and math, this little video might be for you. Economics 101: S**t happens. The newest entrant into the LOTB: Wyoming! The culprit, as usual, is unsustainable public-sector pension costs. Sometimes all you can do is wear a pirate-hat and glare at people.